Anyone applying for a Concealed Handgun Permit from the State of Louisiana MUST complete a Concealed Handgun Course. The Tangipahoa Parish Sheriff's Office offers this course periodically throughout the year. The course is held at the Shooting Range Facility includes classroom instruction and live range fire. The cost of the course is $100. The Tangipahoa Parish Sheriff's Office will ofter host a FREE Hunter Education Classroom Course and a Hunter Education Field Day for anyone ages 10 or older. The traditional “Classroom Course” is a two-day course covering topics such as hunter responsibility and ethics, how firearms work and firearms safety, survival and first aid skills, firearm handling skills and hunting techniques, wildlife identification, game care, and information related to wildlife conservation and management. The first day will the classroom portion from 8 a.m. to 5 p.m. The class will resume the following day at 8 a.m. at the TPSO Shooting Range located in Amite, LA. Participants must attend BOTH days of the class and pass a written and practical exam to be certified. Class size is limited. Advance registration is required. As an alternative to the two-day course, a Home Study Course is available online through the Louisiana Department of Wildlife and Fisheries website. Those who complete the home study course MUST take their completion voucher to a “Field Day” to complete their hunter education. Entry to the Field Day will be denied unless the completed forms are presented. There will be a written test required to complete the Field Day. Class size is limited. Advance registration is required. Firearms and ammunition should NOT be brought to any of the courses, but snacks are permitted. For more information, or for assistance with online registration, call the TPSO Training Directorat (985) 902-2075 weekdays from 8 a.m. to 4 p.m., or by email at richardsonj@tpso.org. FREE two-day course is for ages 10 and up and covers topics such as hunter responsibility and ethics, how firearms work and firearms safety, survival and first aid skills, firearm handling skills and hunting techniques, wildlife identification, game care, and information related to wildlife conservation and management. Classes are held periodically throughout the year. 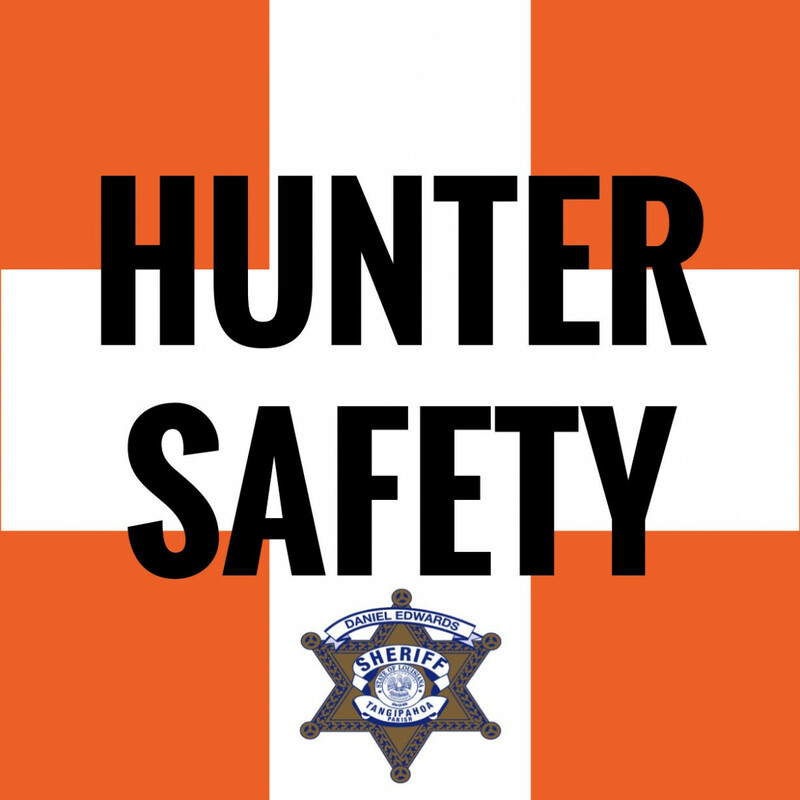 For more informaiton please contact the TPSO's Range Master at 985.902.2075.